I try to have ‘a walk’ everyday, to get weight through my bones, have a good stretch and decrease my spasms so I sleep better. Since using Rex P I have noticed improved bladder & bowel function and I just feel healthier in general. REX P IS A ROBOTIC MOBILITY DEVICE DESIGNED FOR USE AT WORK OR HOME. 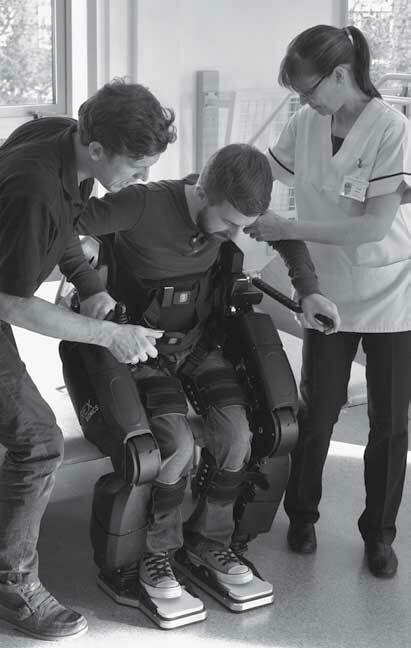 Adjustable to fit the individual, REX P enhances mobility – for social, recreational and work activities. 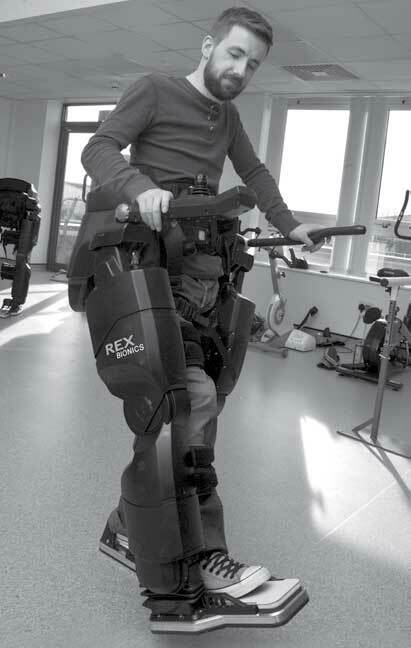 REX P also offers rehabilitation exercise opportunities for users in their home (standing, walking, stretching, weight bearing). *Please note that REX P is not registered with the US FDA and is not available for sale within the USA. REX P is completely self-supporting and designed to be inherently stable, giving you the freedom to use your hands. Watch Sophie explain how to use REX P at home or at work. HANDS FREE for functional exercise, activities of daily living, and embracing new challenges. REX offers a wide range of exercises specifically designed for users with mobility impairments. Socialise with family & friends. Lee has an outlook on life that some may find difficult to imagine, describing the accident which broke his back in October 1989 as one of the best things to ever happen to him, though it took him a few years to realise this. Sophie Morgan has a life which many would be envious of, having presented for BBC, traveled extensively for business and for pleasure, and built a formidable career as an artist, designer, TV presenter and model.